He restores my soul. My that sounds so good. But it is more than talk. When we've reached that point that we can't go on, God blesses us with strength to just keep on walking. When we're in a struggle and things are tough, his power upholds us and we run to victory. When we're winning victories in his name, we can soar on wings like eagles. He is a shepherd and more. He is the Rock and Sustainer of our lives! 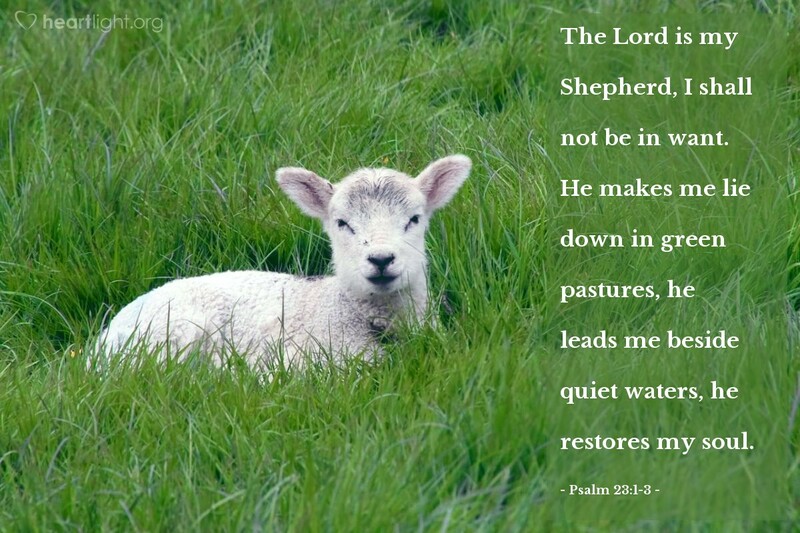 O Gentle Shepherd, help me rest tonight in your grace and in the confidence that you are nearby. In Jesus' name I pray. Amen.